Southside Chem-Dry’s unique approach to carpet cleaning leaves our customers with a healthier home. Chem-Dry has spent over 40 years perfecting our carpet cleaning process. We use carbonation to extract dirt and allergens from your carpets, giving them a deep clean. In addition to cleaning deep, our power of carbonation cleaning process enables us to do so without using a ton of moisture. This allows your carpets to dry faster than other carpet cleaners in Virginia Beach, meaning that there is less time for mold and mildew to grow in wet carpets. Everything about Southside Chem-Dry is healthier for you, your carpet, and your family. Southside Chem-Dry’s signature cleaning solution, The Natural®, is better for your home and your family because it doesn’t use the harsh chemicals and soaps found in other carpet cleaners. 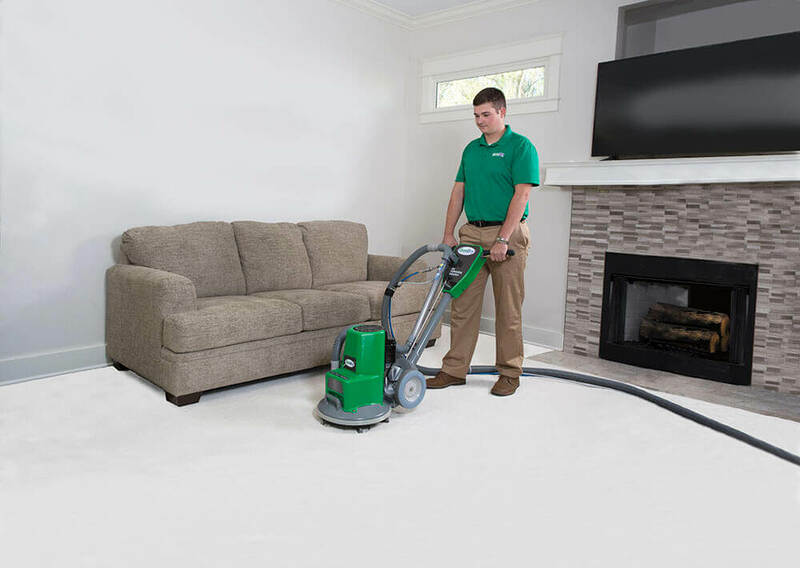 Instead, the exclusive Chem-Dry process uses millions of tiny, effervescent bubbles which penetrate the carpet fiber, dissolve dirt and stains quickly, and act as tiny propellants that actually lift dirt to the surface for extraction. This way, we can actually lift dirt out of your carpets, instead of pushing it farther down the way that some other carpet cleaners in the Norfolk area do. To prove that we care about the health of your home, we’ve had our cleaning solutions Green Certified so that you recognize our brand as a healthy option for your family and house. Our deep, healthy Chem-Dry carpet cleaning service is sure to exceed your expectations. Southside Chem-Dry is preferred by customers and professionals alike. The Carpet and Rug Institute (CRI) designated Chem-Dry as a company deserving the CRI Seal of Approval for the innovative and unique Hot Carbonating System. The CRI program helps customers identify which carpet cleaning solutions are most effect to provide you with clean carpets the first time and protect your home. The blue and green CRI Seal of Approval is proof that you are investing in a quality service. Get in touch with us today to learn more or to schedule your next cleaning appointment! Have Stains in Your Carpet? Do you have stains in your carpets that you’re worried about? Sometimes we run into people that are worried that their carpets are too stained to be cleaned. Yes, not every stain can be completely removed, but we can get almost any stain out. We put our carpet stain removal skills to the test in this video. We made the dirty mess we could, a combination of dirt and cooking oil, and raked it into the carpet. Then we tried to remove it. You can see the results by pressing play on the video! If you need carpet stain removal, give us a call at (757) 471-0087.